There is a saying that ‘You decide your own career’. We should choose our own career, not our parents. Yes, we require the guidance of our parents for this. There are lots of factors that decide our career. The expectation of our parents is one such factor. But we should choose our own career depending on our tastes and interests. Our parents started making plans for us the moment we were born. They start dreaming about our future. They also try to accomplish achievements through their child, which they themselves couldn’t attain. Some people are attracted towards the respect and the value the society gives to a particular job. Sportsmen are loved and idolized by the society. But if a person with no sporting qualities is adamant to become a sportsman to get respect, he will not succeed. Our friends’ career decisions also influences ours. It is like a herd of sheep, where one sheep is followed by others. Everyone wants to become a doctor or engineer, but few want to become teachers. Why is it so? The answer is income. We are attracted to careers that offer more income. But income is not everything. It is all about how much we enjoy our lives. We should all select our career depending upon our tastes and likes. This way, we will always give 100% to our job. Make a list on things you like and dislike. Example-which subjects you like the most, are you interested in drawing/arts, are you adventurous, are you interested in computers and programming etc. Also remember to note down your dislikes. Based on these lists, note down 10-15 careers that suits you. After noting down careers that suits your needs, analyze them in detail. Consider facts like minimum qualifications, potential dangers and hazards, starting salary and opportunities to progress in that particular field. After analyzing the details, create a shortlist consisting of 4-5 jobs. Be practical and careful while making this shortlist. After zeroing in on 4-5 jobs, now it is time for field trip. Go and take a field trip of the workplace you have set your eyes on. If your shortlist consists of a job in the armed forces, visit an army camp. Similarly, visit hospital, or other offices related to your shortlist. After the field trip, it is time to trim down the list again! Choose 1-2 jobs that you like the most after your field trip and note them down. Now, try to spend time with a person who already works in the field that you are interested in. For example- if you want to become a doctor, meet a local doctor, get to know more about the profession, its demands etc. Try to spend some time with him. This is called ‘Job Shadowing’. I am interested in biotechnology and Forestry. I would also like to do research on that particular field. My strengths are in biology and English. Which field should I be? My personal choice – Biotechnology. However, I’d like to point out that both sectors are good. They both have their own set of pros and cons! I don’t know what I choose after 12th science biology. Other than MBBS and BAMS, some other good courses available are- Bachelor of Physiotherapy, Bachelor of Occupational Therapy, Nursing, BASLP, Bachelor of Operation Theatre Technology. hi I’m confused about choosing my career..I am currently studying 12(science).my favourite subjects is chemistry and I like adventurous jobs..I am interested in natural matters..please give me some idea or career options..I also like company jobs.. Consider courses like B.Sc. Chemistry, Chemical Engineering, Environmental Engineering and Biotechnology. I want to know about the course which i will earn big salary because i have two brothers ..and i am big sister of them so i want job early..
Divya, courses like MBBS, Engineering, Nursing, CA and Architecture are good ones. hi,i have completed 12th std,i want to know about good courses in medical field with good job and salary,least duration etc…. Hai, I am Hari. I have completed 12th std. I would like to go in AGRI field.Please tell me which course has the good scope in this field. I also like to do research on this field.Plz guide me. Hariraj, you may go for B.Sc. in Agriculture of B.Tech./B.E. in Agricultural Engineering. I’m shoib I’m confused to my career after 12th pcb but I’m interested in photography which field is bst ? Sir I want to do animation course please tell me about its job prospect and which course i should consider. Vipul, B.Sc. and BA in Animation and Multimedia are good courses. After course completion, you may work independently or for web designing companies, game developing companies, graphics design firms, film production companies, advertising agencies etc. Swetha, you may study BBA course. Hi, I’m currently studying in 11th standard. While surfing the internet for career options I stumbled upon your blog. Right now I’m kind of really really stoked on Mass Communication and Journalism because i love everything about it (writing articles, researching, making videos, photography) and I’m good at that too but I also want to do MBBS (psychiatry) and at the same time I am thinking about management courses. I am truly confused and have no idea what to do next. It would be great if you could help me out. P.s. I am going to take Medical coaching and honestly I don’t know how’s that gonna go but I have to give it a try. Tanushi, MBBS course is a demanding course. It demands much effort and consistency from a student. Even after completing the course, you’ll have to go for PG (2-3 years) and further advanced courses (2-3 years) to keep up with competition. Work is well rewarding, but schedule could be tight. If you are really passionate about healing and helping people, I’d suggest you to go forward with MBBS. If you are not willing to devote years (around 7.5 years) towards study (MBBS), I suggest that you go for Journalism and Mass Communication. N IS there any better course in management? Or MBA is d best of ol.? MBA is the best. It is PG course. n Is there any other better field in finance? Or MBA is d best of ol? I jst wanted a suggestion rltd to my furthur studies in post graduation after completing my bsc non med(general). May u suggest other bright careers except msc .? Riya, what about Management sector? Try courses like MBA, PG Diploma in Management etc. Which cource i prefer so as i can get good pakage about 2000000 n above ..? 10th 41 % or English 35 marks mile toh merchant navy mei job milega ki nahi. please mujhe bataiye ki mujhe ko sa course karna hoga. merchant navy mei mere % less hone se nahi mila toh ? hi I’m just passed 12 th science( PCM) with 74% .m interested to safety management . please btaiye ki me kr sakta hun ya nhi. Ankit, there are Diploma as well as Certificate courses related to Safety Technology and Management, which you may pursue. 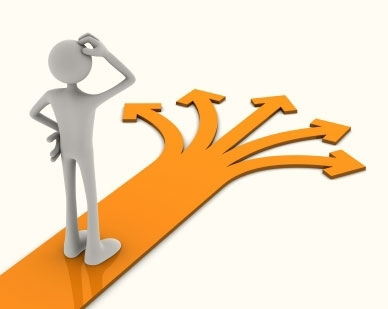 but admission is closed for every collage, then what should I do. Hii I had currently crossed class 12 (maths) with 54.8% . & i’m confussed towards my career , i’m little intrested in business but i also want power, respect with money & i want to crack IAS or BANKING EXAM. So with which course should i start. Shivansh, in case of IAS exam, you must go for Civil Service training. If it is banking exam that you want to clear, go for IBPS Coaching. Hii. I am currently in 12 standard science( bifocal) I am interested in designing guns for INDIAN army I need to know how to make it to that . I also wanted to know is there any other thing related to business as I am very much attracted towards money too. Please help. I am really confused ??? BBA is a good choice, Kunal. You may follow it up with an MBA Degree in future. Hi i am just passed 12th science with 58.48% i am confused about my next courier…i have two choice bba & direct 2nd year polytechnic diploma then suggest me…what can i do..
i had passed +2 with 76% in computer science stream.but i am confused of my further career. physics is tough to me,no much skills like drawing,adventure etc.but these some days i am thinking something about bussiness matters. i would like to know what course should i follow. and the scope of it. and i have a wish to be a civil servant .will it be possible to me .if yes, include more details about it. Yoosuf, you may go for BBA. You may follow that up with an MBA Degree too! Regarding Civil Services, you must go for coaching and training early so that you become well prepared for it. now guide me what to do?? Kunal, most branches of Engineering have elements of maths in it. You may go for Civil, Mechanical, Electrical, EC or IC Engineering. Rohan, is getting a job your priority? Hi I am 10th pass with 60% now guide me what to do?? Can u suggest me go this field or any other filed to go. Engineering, B Sc, Hotel Management, BBA, Diploma, Maritime course etc are some programs that you may go for, Hemakant. Deepak, you may go for M Sc after completing B Sc. Sanjay, buddy, in that case you should try graphics, animation courses. Rohit Chandel, right now, petroleum engineering and similar courses are doing well. That line will help you get good job abroad. Hima, you may go for BDS, BAMS, B Pharm, Pharm D etc. Ritu, why not go for an MBA? You may home your leadership skills and help women out at workplace. Manoj Kumar, choice depends on factors like- Aptitude, passion, current qualification etc. Jency Mol, you may go for B Sc in some exciting branches like Bio Technology, Agriculture Information Technology etc. Or you may go for other careers like Air Hostess, Hospitality executive etc. Shivani, why not become a Commercial Pilot then? Another option is to select a good course out of those design related courses that I’ve mentioned. Your drawing and painting skills will come handy. Nishmita, you may choose from Engineering, B Sc, BBA, B Pharm etc. Aaradya, yes, the career of an Air Hostess is a rewarding one. Srijana, the options are- BBA, B Sc, BAMS, B Pharm etc. Yes Ankita, you may go for BBA. If that is what you are genuinely interested in, then go for it. Yes Hima, that’s a good course. You may do Engineering, MBBS, B Sc, lots of courses to choose from. Just check the article. hiiii….arun i m intrested in compuer study which is the best computer eng ya b.sc it ya fir??? hello arun mene abi 12th ki exam di hai…….. to kya me b.sc krne ke bad mca kr skta hu plz..suggest me…..
Usually, it is M Sc after B Sc. If it is doing MCA that interests you, go for BCA followed by MCA. I m really intrested in computers nd programming…. i m little less then avg in other subjects but in computers i hav alwsys scored in 90s nd 80s . Can u suggest me some feilds?? Aditya, if computers and programming are what you are interested in, then go for Computer Engineering, BCA (followed by MCA) etc. Buisness?? Go for “NASA” what I do?? Please, answer me. If business is what you are interested in, go for BBA and follow it up with an MBA. what can i do after 12th i have gave just 12th exams in pcmb group.please give me idea. i want to like bio subject mostly. Atik, you may go for courses like- MBBS, BDS, B Sc, BAMS etc. what can i do after 12th i have gave just 12th exams in pcmb group.please give me idea. But I heard BSc degree doesnot have enough scope. Why not? B Sc followed by M Sc and a career in research would be great! Doing B Sc alone will bring less value, I agree. Consider B Sc or Biotechnology then. i am interested to go for medicine but we don’t have fund to raise ….tell me some good course related to biology and which gives a good amount of salary too…? You may try to get into Government College for MBBS. Fees there is considerable less. Otherwise research in microbiology is a great option. -i’m good in art n drawing . -keen interest in computer parts n also want to study more about softwares. -also practiced in forming logic. pls refer me a best branch for btech ….as I scored low grade marks in 12th ,it may cause problem to it.bt i can repeat one year for better scores..
i think u can join in the arts college and do BA . u can get jobs easily.